We’re often asked if we do waterproof stickers. 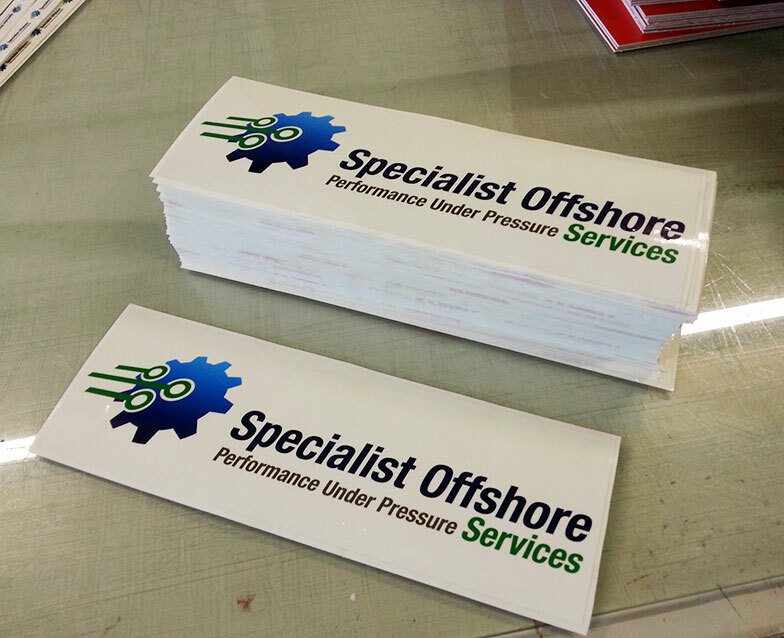 Perth Graphics Centre has the most waterproof materials available for your sticker needs and our customers keep coming back for more. Particularly with drilling and offshore mining, waterproof stickers are critical. Pump manufacturers also avail themselves of the aggressive adhesive and durable inks that we use. If you need waterproof stickers that will last for years, then please head to our contact page to get an emailed quotation.